What will BMW offer in return? The talk in Tokyo is that the Bavarians proposed to share their expertise in developing carbon fiber bodies. BMW is heavily invested in industry leader SGL Carbon. Volkswagen also bought shares. However, says the scuttlebutt, Toyota feigned disinterest, saying that it already had developed significant carbon fiber expertise in-house. Toyota has been doing carbon fiber research for nearly ten years. The Lexus LFA supercar is made from 65 percent carbon fiber and 35 percent aluminum. However, there are many unanswered questions in the carbon fiber business, notably how to produce CFRP bodies quickly and therefore at low cost. 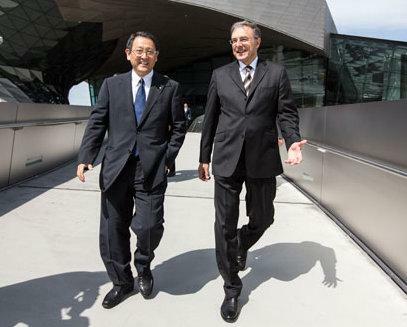 BMW will host a news conference at 1030 GMT on Friday (29 June 2012) to mark a visit from Toyota scion and chief executive Akio Toyoda to the German carmaker’s Munich headquarters. That Reuters report also seconded Bertel Schmitt’s suspicions that access to the BMW/SGL carbon fiber joint venture could be a third component of the expanded alliance. As a driver, I directly help vehicle development at the Nürburgring. The Nürburgring is the toughest course there is. At the Nürburgring, the road tosses the car around. Curves seem to try to throw out the car and driver. But at the Nürburgring, there is always a car that passes me. It is a BMW. BMW is not only a premium brand. BMW knows how to make a car perform. It knows more than anyone else that roads make cars. And at the Nürburgring, it is my greatest rival. To me, BMW earns the utmost respect. BMW and Toyota both want to make ever-better cars. We respect each other. That is why we already can take the next step together. I very much look forward to the “car talk” between both companies’ engineers at the Nürburgring and other places where cars are developed. The attractive and emotional products we plan cannot be born in conference rooms. They can only be the result of real car talk where development actually takes place. •Both companies, Toyota and the BMW Group, aspire to be the best at everything they do. •Our independence gives both companies the freedom to think and act for the long-term. •Both are engineering-driven companies. We are never satisfied with what we have achieved. Our creativity, pioneering spirit and passion for new things never allow us to rest. •First: They have to be based on mutual trust and commitment. •Second: They must create a win-win situation. •Third: The premium character and independence of our BMW Group brands must be protected. Our cooperation with Toyota Motor Corporation meets all three criteria. Reithofer’s emphasis on independence (noted twice in the excerpt above alone) marks a crucial distinction of the BMW/Toyota alliance: unlike the recent General Motors-Peugeot or Nissan/Renault-Mercedes-Benz hookups, there is no cross-purchasing of shares or ownership stakes between BMW and Toyota. Both of these carmakers simply value their historical independence and self-reliance too much, even in the face of 21st-century complexities, rules and regulations that conspire against this. Preferable, then, to focus on specific projects or areas of mutual benefit. Fortunately, both are still on solid enough financial ground that they can follow through on this ideal. And what, exactly, does this expanded collaboration entail? Beyond videos that appeared in the Toyota Global newsroom and BMW Group PressClub, an official press release that appeared in Toyota’s USA, Europe and Global newsrooms confirmed the initial rumors of a new memorandum of understanding (MoU) covering joint development of a fuel cell system, collaboration on powertrain electrification and joint research and development on lightweight technologies, plus a fourth, unexpected surprise: joint development of architecture and components for a future sports vehicle. Let us, then, explore and speculate on what can come from each of these areas. Hydrogen fuel cells are the Holy Grail of automotive powertrain technology: zero emissions from a fuel that is derived from the most abundant element in the universe coupled with refueling times nearly as quick as those from a gasoline pump, thus doing away with the hours-long battery electric recharging time / range anxiety issues. Two major roadblocks stand in the way, however: the chicken-and-egg conundrum of setting up a costly hydrogen refueling infrastructure without a significant number of hydrogen-powered cars in circulation and the sheer cost of fuel cell technology itself onboard the vehicle. When it comes to hydrogen power, however, Toyota is miles ahead of BMW, whose major public foray into the technology was adapting 100 of the 4th-generation (E66) 760Li long-wheelbase V12’s to run on either gasoline or hydrogen at the touch of a steering wheel button. This BMW Hydrogen 7 (which bears its own E68 model code), as an internal-combustion engine-powered vehicle is far removed from the fuel cells that it hopes to further develop jointly with Toyota. Granted, BMW has dabbled in fuel cell research itself (such as the secret 1-Series 3-door-based prototype Autocar photographed over 2 years ago), but this pales to Toyota’s more public initiatives. These include the quintet of Toyota Highlander-derived FCHVs produced between 1997 and 2008 and plans to sell a fuel-cell hybrid vehicle (FCHV) sedan in Japan, the U.S. and Europe some time around 2015, likely based on the much-lauded FCV-R concept that debuted at the 2011 Tokyo Motor Show. Don’t expect it to be cheap, however. Back in November 2010, Toyota predicted a selling price under 10 million yen ($127,375 at today’s exchange rate), while last month Japan’s Nikkei figured about half that (5 million yen, or $62,000). Collaboration on powertrain electrification. What do they mean by that? Of the four fields comprising the latest Toyota/BMW memorandum of understanding, the “powertrain electrification” aspect is arguably the most ambivalent and subject to interpretation. Does it simply mean BMW buying into Toyota’s Hybrid Synergy Drive, as a number of pundits believe? Or is the electrification part to be taken more literally, as in Toyota joining an extension of BMW’s “Project i” battery-electric initiative that will see the i3 city car begin production in 2013 and the i8 sports coupe the following year? …the whole (BMW Project i) enterprise is skating on dangerously thin ice. The BMW i program is so big one could almost be forgiven for calling it the reinvention of the car. The entry-level i3 is supposed to cost roughly the same as a 335i sedan (about $45,000) but has a carbon-fiber body shell, an aluminum platform, a lithium-ion battery, and a rear-mounted 150-hp electric motor. Then there’s the scale of the operation: BMW expects to find 100,000 buyers per year for the i3 and another 10,000 for the 493-hp i8 plug-in hybrid. The problem is that many of the external catalysts that BMW had hoped would popularize electric cars have failed to materialize quickly enough. Promised green car incentives have fallen victim to the emphasis on austerity that has taken hold of most western governments, and the battery-charging infrastructure remains in its infancy in all but a few cities. BMW is still convinced that Project i will eventually pay off, and the complex engineering and tooling work is said to be proceeding on schedule. However, (BMW is said to be) discussing contingency plans (for) a Project i exit strategy. For now, the proposed i1 intra-city car and the i5 eco-van have been put on ice. It might be possible to delay the launch of the electric i3 and i8 to concentrate on the potentially more saleable plug-in hybrid or even to add a gas-only model, but BMW definitely does not want to make a compromise that might defeat the point of its green car offensive. Although a BMW of North America spokesman denied the above report in an Automotive News article, we can’t help but wonder if BMW is looking to Toyota and its Lexus brand as a means of salvaging and ensuring the growth of Project i via those all-important economies of scale. With modern carmaking’s conflicting demands for a light-as-possible vehicle to allow for smaller engines that, in turn, help meet ever-tightening fuel economy standards versus more stringent safety rules and consumer demands for quieter vehicles with more gadgets, bells and whistles – which help pack on the pounds – light and strong carbon fiber has emerged as a panacea to solve these dueling priorities. Yet, as with the fuel cells we discussed earlier, cost issues are a major impediment to carbon fiber’s widespread adoption. Midway through the Lexus LFA’s gestation, the decision was made to change from the planned aluminum construction to the extensive use of carbon fiber (or, more precisely, Carbon Fiber Reinforced Polymer, or CFRP). The LFA’s manufacturing process is discussed in great detail in a series of articles by Bertel Schmitt of The Truth About Cars, with particular emphasis on the lightweight material in Chapter 2: In The Clean Room. As much as Toyota drew on its origins as a maker of automatic looms for the textile industry as well as its determination to manufacture as much as possible of the Lexus LFA in-house, the supercar’s slow CFRP-intensive construction is surely a major contributing factor in the vehicle’s eye-popping (yet money-losing) $375,000 starting price. Clearly, Toyota has quite a ways to go in bringing the costs of CFRP construction down to earth. Meanwhile, BMW was at work on the arguably even more ambitious Project i which, as we described earlier, kicks off next year with the i3, a roughly $45,000 battery-electric city car with a carbon-fiber body shell on an aluminum platform. Unlike Toyota’s self-reliance for the Lexus LFA’s CFRP weaving, BMW reached out to Germany’s SGL Carbon (or SGL Group – The Carbon Company, as it fancifully bills itself) to create a joint venture that includes the manufacture of the CFRP BMW i3 body at a U.S. facility located in Moses Lake, Washington state, a site chosen for its easy access to electricity generated entirely from renewable hydroelectric power. The joint venture, SGL Automotive Carbon Fibers, is 51% owned by the SGL Group and 49% owned by BMW. In addition, BMW purchased a 15.72% stake in SGL Group as a whole. Besides the obvious reasons for BMW and Toyota to reach out to each other in the quest for reasonably-priced, mass-produced carbon fiber (the real or perceived need for BMW to prop up its Project i initiative, Toyota’s need to mass-produce affordable CFRP, the ever-pressing mutual need for economies of scale), there is the matter of the hot commodity the SGL Group has become, and its potential for generating boardroom drama for BMW. While BMW currently has a clear upper hand (aside from its aforementioned 15.72% stake in SGL Group, BMW heiress Susanne Klatten’s SKion GmbH investment company owns 29% of SGL), Volkswagen is also keenly interested, and has its own 8.2% share of SGL. Could this become another acrimonious BMW vs Volkswagen battle reminiscent of the Rolls-Royce/Bentley divorce almost a decade ago? And, if so, does BMW want Toyota either as a backer or as a fallback option? Many if not most automotive journalists are frustrated or wannabe product planners at heart, with sometimes esoteric tastes at odds with the general population. This author certainly fits that description. So, naturally, when word came that the latest BMW/Toyota memorandum of understanding included joint development of a sports vehicle, the blogosphere had a field day speculating on the possibilities. Yours truly’s first thoughts were that the long sought-after small Lexus roadster would finally see the light of day not as a Scion FR-S/Toyota GT86 derivative, but as a rebodied and re-engined next-gen BMW Z4 (a notion seconded by Glenn Brooks of just-auto). My second thoughts were of a new-generation BMW Z8 larger roadster twinned with the rumored production version of Lexus’ much-praised LF-LC concept. Jack Rix of Auto Express envisioned a (rebodied, we hope) production version of Toyota’s MR2 Spider-derived, fugly and catfish-like GRMN Sports Hybrid Concept II twinned with a BMW-badged version that would sit in the ‘i’ range somewhere between the i3 and i8; while Greg Kable of AutoWeek envisioned a Toyota Supra built on the architecture of the BMW 6-Series and the return of the Toyota Celica using a structure provided by the BMW 3-Series. A companion piece Kable wrote for Automotive News Europe in conjunction with Diana T. Kurylko echoes numerous suggestions that it “will be a sustainable sports car with environmentally friendly technology,” and cites Jim Hall of 2953 Analytics Inc.’s suggestion of a Lexus derivative of the BMW i8 plug-in hybrid sports coupe. What the BMW community would love instead is an affordable Z2 – think of it as BMW’s answer to the Toyota GT 86/Scion FR-S/Subaru BRZ triplets. This car could pick up what was lost when then Z3 became the Z4, but unfortunately the new compact roadster keeps being rejected by the board, primarily for pricing and positioning reasons. Even though it is now almost too late to sign off on a Z2 based on the purist rear-wheel drive 2 Series components set, the time will probably never be ripe for a front-wheel drive Z2 twinned with the next Mini Cooper S Roadster. Ever since BMW and Toyota found together last year, I repeatedly hear that the atmosphere between both companies is very good. Both are engineering-driven and can be quite opinionated in what they do. Both are extremely competitive. Toyota needs scale effects for lower volume sports cars. BMW needs scale effects across the whole range. Here, too, the armchair product planners step out, with MINI fan blog Motoring File making a compelling case that the original Mini-meets-Toyota/Scion iQ-inspired MINI Rocketman concept could become a production reality by being combined with a 2nd-generation iQ. As for yours truly’s thoughts, a rumored sub-CT, B-segment Lexus hatchback primarily for Europe would be more worthy as a MINI variant than as a glorified Toyota Yaris. Not much (could go wrong between BMW and Toyota)…BMW’s partnerships with PSA may be on the wane, but so far it seems there are only winners here. 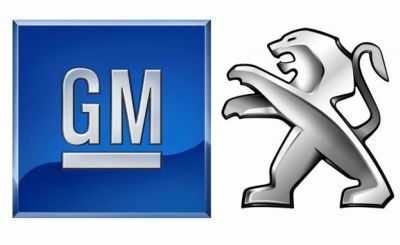 Add General Motors to the list of potential losers miffed at the new alliance, since 2 days before the official announcement of the expanded BMW/Toyota alliance and its fuel cell component came word that GM and BMW ended talks on fuel cell research cooperation. 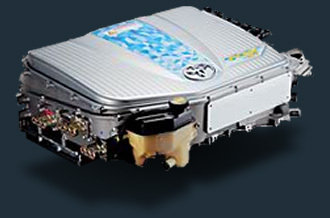 GM, it seems, can’t catch a break when it comes to fuel cell collaborations, since a similar agreement with Toyota ended in early March 2006, primarily due to disagreement over terms for sharing the intellectual property they jointly produced. On Tuesday 10 July Bloomberg reported on the end of the BMW Peugeot Citroen Electrification (BPCE) partnership, established in October 2011 to develop, purchase and produce electric and hybrid powertrains and components. BPCE consists of a research and development center in Munich and a manufacturing plant in Mulhouse, France, the latter employing 250 workers. The dissolution of this project involves BMW buying out PSA’s 50% stake, thus potentially turning it into a BMW contribution towards its new alliance with Toyota. Unaffected, at this point, is the most prominent BMW/PSA joint venture: the partnership to build the Prince 4-cylinder gasoline engines for BMW’s MINI brand and Peugeot and Citroen smaller models. Author’s note: In our previous BMW report, we noted the company’s “multipronged sourcing of lithium-ion batteries for its hybrids, with the ActiveHybrid 7 using cells from the French-American partnership JCI-Saft, while the newer ActiveHybrid 5 and upcoming ActiveHybrid 3 use A123 Systems as its source.” As part of its just-announced 2013 mid-life facelift, the BMW ActiveHybrid 7 now uses the same A123 Systems-sourced system and powertrain as its smaller ActiveHybrid 5 and ActiveHybrid 3 siblings. This entry was posted in Informed Speculation, Lexus, The Toyota alliances, Toyota by Joaquín Ruhi. Bookmark the permalink. A new Reuters report suggests that even the last significant BMW/Peugeot collaboration (the 1.6-liter gasoline 4-cylinder engine used in the MINI) may end after 2016, in favor of a long-rumored BMW modular gasoline engine family (1.5-liter 3-cylinder; 2-liter 4-cylinder; 3-liter inline 6) with a common cylinder bore and stroke. Although Reuters suggests that this is an all-new engine family, BMW’s current 2-liter 4-cylinder and 3-liter inline 6 engines (both gasoline and diesel) already share a common cylinder bore and stroke (making the 3-liter inline 6 one-and-a-half of the 2-liter 4-cylinder engine). Thus, the upcoming 1.5-liter 3-cylinder is either ¾ of the four or half of the six, however you prefer to look at it.